Nairobi Governor Mike Sonko believes that Kalonzo Musyoka deserves more leadership roles. Promising to campaign for him in 2022, Sonko says that he will support Kalonzo to the very end. 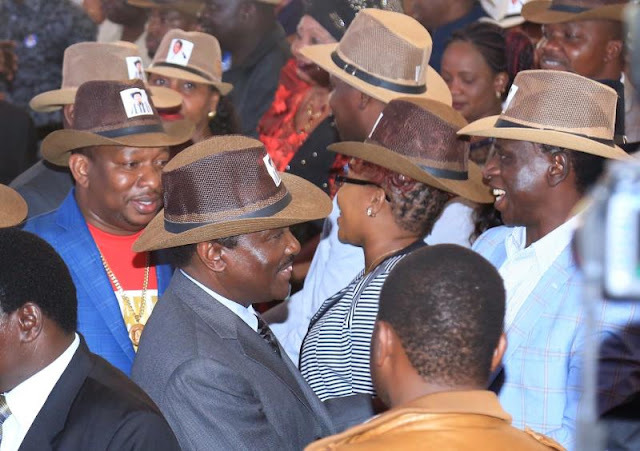 On behalf of Kalonzo, Sonko says he will be in the forefront to rally the Kamba community and all Kenyan people to vote in large numbers for Mr Musyoka. The former Vice President has salivated at the country's top seat for a long time now but it has always eluded him. Considering that Sonko is an active Jubilee member, it all but shows that he may not support current DP Ruto's presidential ambition. It is common knowledge that the DP is interested in becoming the 5th president of this country and those around him even started campaigning. Sonko says he understands the handshake pact and knows that Mr Musyoka is well in the deal. He added that he will use his resources to campaign for the Wiper Leader who has troubles maintaining peace in his party. A section of Ukambani leaders and Governors have openly questioned his leadership skills and will not support his future goals. Sonko was against these rebels saying that they should come together and support their 'elder brother' until he achieves his goals or gets tired of politics.